We are a team of professionals bringing 60 years of combined real estate experience to serve you. With your highest interest in mind, it is our mission to provide quality service before, during and after the sale. Our high number of repeat clients and client referrals is a compliment to our team and a continued motivation to strive for excellence. "Bradley was an awesome Realtor to have by my side while buying a home for the first time! " "I would highly recommend Debra West's Team for all your real estate needs." "Debra and her team made it very easy and were confident in procuring a buyer." "Just all around great experience selling a home for the first time." "I highly recommend RE/MAX Elite Group especially Bradley McAfee." "We couldn't have done it without Debra West. We truly appreciate everything her and her Team did for us." "I highly recommend her and her team in any real estate need you have. What an asset to the Greater Wichita Falls area!" " I can't see myself selling or moving again, but life has a way of surprising us sometimes. So if the need ever arises... I'll know who to call!" 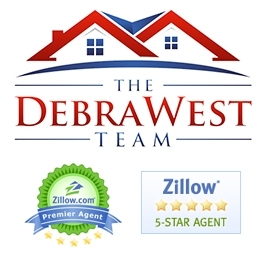 "I would always recommend the Debra West Elite team!" "Debra is a truly amazing Broker, Team leader and Coach!" "She was invaluable in our home buying process and I strongly recommend anyone who is looking to buy a home in the Wichita Falls area to use Julie as their realtor." "We used Debra West in both buying and selling our home. We couldn’t have picked a better person. She bent over backwards to make sure both processes were smooth and worry free." "Debra and her team have been absolutely stellar in the management of my rental property and the sell of my home." "What an AMAZING team of GREAT people who LOVE working for their clients!" "Debra and her team were great." "If you are buying or selling, choose Peggy to present to you all your options and best advice." " I highly recommend The Debra West Team"
"In all our selling/buying experience, she’s been our favorite realtor. I highly recommend!" "Go to Debra West Team first." "Exemplary service! that is how we feel about Debra West and her team." "Peggy helped us buy an investment property in Wichita Falls. " "Debra meets and exceeds all of those expectations! " "I enjoyed working with Debra very much and intend to use her again in the near future." "Debra meets and exceeds all of those expectations. She is courteous, detail oriented, and has a very keen eye for what you are looking for." "We will definitely be working with her in the future! Thank you, Debra!" "Debra went above and beyond in all aspects!" "I had a very good experience selling my house with Debra and her team." "So if you want an awesome and positive realtor, she is the realtor to go with !!" "Thank you Debra for connecting us to Peggy Baggett. We couldn't have done without her!" "We feel very very fortunate to have Debra West for our Real Estate Agent"
"I would recommend Andy and the Debra West team in your pursuit of a house that is perfect for you." "Debra West and her team deserve five stars." "I loved living in my house!" "She might be our realtor but we ended up making a lifelong friend. She is truly amazing. " " I highly recommend the Debra West team if you are looking to purchase or sell a home!" "I highly recommend Debra West and her team!" "Tony and I had the best experiences buying this house through Julie, we had some issues but Julie helped us through them." "I would recommend them to anyone looking to buy or sell property in the area." "Thank you so much to Debra West and Andy of The Debra West REMAX team!!! " "I can't say enough to good things to describe what an amazing team they are to have on your side. Thanks Debra and Andy for getting us into this amazing home. " "I just wanted to tell you that during my 24 years of service and living in many different places which included purchasing 4 houses....Debra West and her team have gone above and beyond!" "She and her team are wonderful!! I'd use them again!!!" "Debra and her team were great to work with through the entire process and went above and beyond for us. I would not hesitate to recommend the Debra West Team." "Debra helped us find a house when we moved to Wichita Falls 12 years ago, and her team did an awesome job once again!!" "The Debra west team are truely wonderful. They did all they could to find our perfect home, and we absolutely love it." "These ladies right here are amazing at their job! The Debra West Team is hands down the best realtor group." "The are an all around 5 star team! Thank you Julie and Debra for all of yalls help! " "I would highly recommend Debra West and her awesome team." "Thank you Debra. I would highly recommend her to everyone needing to sell their home." "Great team. Debra made us feel like we were her most important client." "I plan on purchasing/selling many more properties in the area and I wouldn’t think of using anyone else." "Where do I begin? Debra West and her team are just amazing. " "I would gladly recommend Debra to anyone. She is reliable, efficient and very knowledgeable." "I couldn’t have asked for a better team to have in my corner when we decided to start the negotiation process." " This is a great team of professionals that work TOGETHER to ensure the process is simple, smooth, and with as little stress as possible. I would recommend them to anyone-especially friend and family"
"Whether your home is in the 10’s of thousands or in the million dollar range, THIS IS THE TEAM FOR YOU! " " I personally recommend the Debra West team to anybody wanting to buy a home. THANK YOU THANK YOU THANK YOU!!!!!!" "If you are looking to sell, or buy, in Wichita Falls or North Texas, you should definitely give her and her team a call." "Thank you Debra for everything. Many blessings to you and your company! " "She and her team really are the best in town! " " Debra West and her team kept me informed of everything that was going on with the sale, and went out of her way to help me understand what was happening with the sale." "Debra is a highly motivated and driven professional." "Helped with every detail possible. Thanks!" "Without a doubt you were the right realtor to help us get everything we wanted in our home." "I highly recommend Debra to anyone that is looking to buy or sell a home"
" Debra was spot on." "Debra was spot on. Was told the average time frame to sell a home in this area was 80 days .Thanks to Debra and her team." "Debra and her team were absolutely amazing! They new their market as well as understanding my needs in my new home. " "Debra and her team were absolutely amazing!" "If you are looking to buy or sale a home in Wichita Falls or the surrounding area Debra and her team are the agents you want." "I cannot express enough how thankful we were to find Debra. Highly Recommend!!!!! " "Debra and her team were always highly professional, friendly and personable. We were amazed when we received an offer on our home just a few days after it listed. " "Debra and her team were always highly professional, friendly and personable. " "She is kind, thoughtful and gets it done." "If you are needing an outstanding realtor, call Debra. You will be glad you did!" "Special shout-out to Debra West and the Re-max Elite team! They were so helpful and made the process so smooth and easy! " "The Debra West Team went out of their way in helping us, and we could not be more pleased. " "The Debra West Team went out of their way in helping us, and we could not be more pleased. We close on our house on Friday and we are so blessed and extremely grateful to the Debra West Team!" "My home buying experience was made easier and less stressful thanks to the Debra West team!!" "They are highly knowledgeable and resourceful. They made the whole process less stressful and easier to deal with. They helped me find a wonderful home within my price range. " "I recommend them without reservation for any real estate needs. I will use them in any future dealings." "Contract in 10 days, sold in 30 days for all cash, as is, perfect!! I could not be more pleased!! Debra is absolutely amazing!" "Debra is amazing! She made the process of buying our first home so smooth! We were guided every step of the way and could not have done it without her!!!!" " I can’t say enough good things about her. She always answers her phone and emails. Thank you so much. She knows this market well." "Debra has a firm grasp and understanding of the housing market and was spot on in the listing price of our home. " "If you want the best….call Debra, she has the entire local right connections, helps in any way possible….we had a few giggles along the way! !Thanks Debra!" "I would definitively recommend Debra West for anyone looking to buy or sell a home, and will have her help sell my house down the road when I decide to expand." "Debra is always there to answer questions and make herself available to show us the properties that we are interested in. We know that we can always count on her and her professionalism and expertise!" "he kept me in the loop in everything going on no matter if it was big or small! She did whatever it took! I greatly appreciate her and her team! Thank you so much!" "I was not able to be near my home and she made sure that the property taken care of, she went the extra mile." "I trust Debra and know she will do a great job. She handled our rental property for the last three years. She is extremely professional and knowledgeable." "She is extremely knowledgeable about Wichita Falls and showed me homes that fit exactly what I wanted and needed. If I purchase another property, I will be sure to call Debra." " I highly recommend Debra for all your realtor needs, buying or selling." "Debra is one of the best in town. " "She helped make this stressful time better by helping us in every way." " We loved her through out the process, very approachable - responded pleasantly to every nervous text from me. A-class service and best in the game"
"A-class service and best in the game." "We would definitely use Debra and her team again." "I highly recommend her entire team, especially if you have limited time to view homes or are new to the buying process!" "I agree with all the previous reviews. Debra is amazing and when she finds your dream home and/or sells your home you not only are a happy client, you have a new friend!" "Their state of the art technology, superior customer services, and knowledge just can’t be beat by any other realtor. I am a loyal client for life – thank you Debra West." "Debra helped my family and I buy the home of our dreams. She negotiated until everyone was happy. " "None of this could have happened without the outstanding and professional assistant of Debra and her team. She is without a doubt the best realtor I have ever met." "She is without a doubt the best realtor I have ever met." "The home buying process can be daunting, but with her expertise and compassionate service, the process has been almost effortless!- "
"Great realtor. Would only recommend her going forward. Great Job!!!" "Debra is just amazing. She helps you, whether you are the buyer or seller, through the entire process. She is extremely knowledgeable on the area, and works well with other realtors. " "Great help and easy to work with. Many thanks to her and highly recommend her in any real estate business!!!" "Debra is hands down the most knowledgeable, loyal, honest, and caring realtor." "Trust us, she will make purchasing your home a painless process, thank you Debra!" "Debra West is very professional and informative about the entire home buying process." "I recommend her to anyone and will be asking for her help when/if I ever decide to buy/sell again. Thank you Debra!!!" "I highly recommend anyone looking to buy or sell a home to give her a call. I promise she will not disappoint." "Debra was very knowledgeable and responded quickly to all questions and tasks. She had our property rented out and did all the work, it was no Hassel for me." "Debra was there for us every step of the way. This was our first home to buy and I wouldn’t have wanted any other agent in the world to have helped us." "Debra West has gone above and beyond anything I could have ever expected in buying a home and helping out in setting our property up to rent. I highly recommend her and her team." "The most professional realtor ever. " "The Debra West RE/MAX Elite Group was very helpful in finding my new home. Debra West was very knowledgeable and professional in my search for a home to buy." "Debra was extremely helpful and very knowledgable! She is very professional. . She is very honest and has a high level of integrity." "Debra was extremely helpful and very knowledgeable! She is very professional. She has a genuine interest in the people she is trying to sell/buy homes for. " " Debra knows how to work smart & put in the right amount of time. She is attentive, organized and she consistently follows through, without wavering, all-the-way to the closing of the sale. " "It was Debra’s engaging personality that initially won me over when I was shopping for a real estate agent. " "We couldn’t have asked for a better experience, both buying and selling." "Very aware of all expects in selling a house." "Debra is a 10+ to work with. I highly recommend her services." "I will always recommend Debra for anyone that wants to buy or sell a home. Debra is a smart lady and she takes care of her clients until the end of the buying or selling of your home." "I would highly recommend Debra to anyone looking to sell or buy a house. Her expertise made selling my house as painless as possible." "Debra was absolutely wonderful and made selling my house as painless as possible." "Debra was the PERFECT agent for me." "Debra was EXACTLY what I needed her to be in an agent. " "She was with us from day one. She helped in from staging the house to what needs to be done to get top dollar. She was very handy on any questions we had on selling and buying a home." "Debra went above and beyond with exceptional customer service, even though technically we were not her even clients." "We had a very successful purchase of our first home using her. She was very adaptable to my work schedule and we breezed through the entire process from beginning to end." "She is a honest hard working individual that I will do business with for the rest of my life. I can truly say she has a customer for life"
" I am very pleased with Debra’s response to my questions and to my renter’s needs. I would definitely recommend her to anyone." "I will be using her again when I decide to sale this house and look for another one. I highly recommend her to anyone looking to buy or sale a home." "Debra was very helpful getting me financed and working with the seller to get the home closed." "Debra was very motivated to sell our house. We were kept informed. I felt like we were her #1 client. " "Debra West was very professional and courteous in helping me find a home that suited my needs." "Debra made me feel like I was her #1 client. " "A true professional. Very dedicated to helping her clients find the perfect home. Pleasure to know and work with. " "Debra is the most professional agent we have ever worked with. We couldn't be happier!" "I would and will recommend her everyone I know in Wichita Falls. I can not begin to thank her enough." "Debra West sold my first home several years ago. Her knowledge and professionalism were top notch. " "Debra was recommended to us from a realtor in another area of Texas, and we were not disappointed. " "I would use her services again in a heartbeat and would recommend her to anyone. I am not sure if another realtor would be able to provide the same quality of service." "Debra and her staff provide quality service through the whole process of my short sale. She never once gave up and stuck it out the whole way." "My Wife and I absolutely loved working with Debra!!! She made the whole process of searching and buying a home an actual pleasure. " "The buying process was totally enjoyable with Debra as our guide!" "We found our dream house and Debra West helped make that dream come true." "She's more than our realtor, she's our friend. Thank you Debra West!" "Debra West is the BEST real estate agent in Wichita Falls. Debra West will get it done for you"
"Debra West is the best,most organized,professional real estate agent in Wichita Falls." "Absolutely loved working with Debra.Would highly recommend her and will use her if we ever decide to sale." "Debra was outstanding.We will definitely use Debra's services in the future." "Debra is an awesome agent! I will always recommend her to anyone looking to buy or sell." "We would recommend Debra West to anyone looking to buy a home. She was fantastic!" "I highly recommend Debra to anyone seeking to sell real estate within Wichita County." "Thank you Debra for finding us our forever home!!" "If I were to ever sell this house or purchase another one I would hope the Debra would be able to assist me and I would recommend her to anyone that wanted to ask my opinion." "Debra is amazing at what she does! She made my home buying process stress free and quick also! " "Debra never forgets us after we have bought and sold our house. She treats us like family in every way." 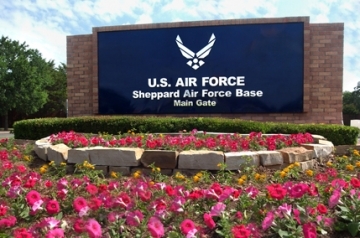 "Thank you for all of your help through this process. Mucho appreciation!" "This experience was truly the best." "We highly recommend them if you are buying or selling." "Supportive, knowledgeable, understanding, extremely customer focused! This is the third home Debra has helped our family purchase and she sold one home for us. We trust her!! " "This Team is amazing! I was selling my home and buying a new one. In less than 30 days I am now closing on both homes. " "Such a great experience. They are always doing everything they can for the families." "Debra was wonderful to work with! She eased all my fears at the beginning of the selling process by helping me stage my house so it looked great." "They were super awesome!! Bradley and Debra helped me and my fiancé get our first home!" "Very patient finding our home! The team responded very quickly to all of our questions. Very satisfied! Thank you guys!" "Working with Debra has been a pleasant experience. From the first visit, the showings and the myriad of questions, each has made us feel as if we were her exclusive clients, like VIPs." "Bradley McAfee is an excellent representative and went above and beyond to assist us in finding the home we were looking for. We would highly recommend this agency to anyone!!!!"